When you donate to SPJs General Fund, you are providing the resources to cover our most pressing needs and ensure that membership fees remain affordable. In an ever-more-challenging environment, your support has never been more important. Donate $50 or more and you will be included as a member of the Presidents Club and be invited to a special reception at EIJ, as well as receive other surprises throughout the year! Join other journalists and defenders of the First Amendment in supporting our work to promote the free flow of information, protect free speech, foster excellence among journalists, encourage diversity in journalism and inspire the next generation of journalists. Want to be a part of it? Use the form below to donate today! – By signing up for AutoPayments, you acknowledge that your card will be charged monthly until you cancel your monthly contribution. Its never been easier. Turn your annual donation into automatic, monthly payments! Contribute to the nations largest, most broad-based journalism organization with our new AutoPayments. Its designed to make contributing to this great cause fit into anyones budget with an automatic, monthly payment that shows your support for everything SPJ stands for. To make one-time donations, or to set up monthly donations, please complete this form. Monthly donation: I wish to contribute $ per month to the SPJ General Fund. SPJ may charge my credit card this amount on a monthly basis. One-time donation: I wish to contribute $ to the SPJ General Fund. Please contact me about planned giving (including the SPJ General Fund in my estate planning). 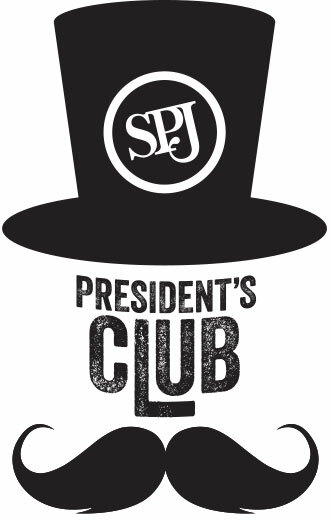 Please contact me about SPJ's lifetime membership option (a one-time membership due of $1,000 rather than paying annual dues). I would like my contribution to serve as a memorial or tribute gift (provide details in comments section below).